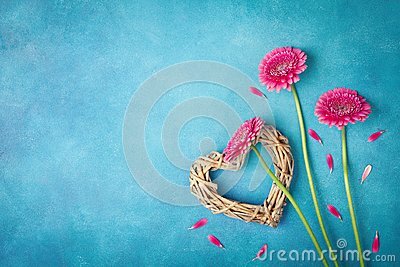 Spring background with pink flowers, heart and petals. Greeting card for Woman day. Flat lay. Top view.